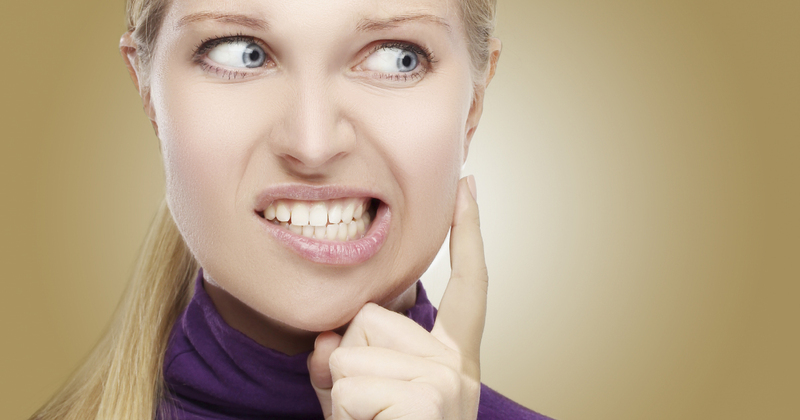 Have the habits of teeth grinding and jaw clenching become persistent problems? Then, you may be experiencing bruxism. Learn more about teeth grinding, including its reasons and its remedies. A dentist can easily detect the effects of teeth grinding with a dental examination because it typically causes visible erosion of the teeth. However, the impact of teeth clenching is often felt rather than seen, causing severe facial soreness, jaw pain, jaw joint damage, headaches, and earaches. These signs tend to appear in both daytime and sleep conditions, but people suffering from sleep bruxism frequently wake up with unexplained headaches and tooth sensitivity. Teeth grinding that occurs during the day is generally treated with behavior modification, awareness reminders, and sometimes short-term splint therapy. Complicated cases may require psychological counseling or medication for stress and anxiety. Treatment for sleep bruxism often includes wearing a mouth guard at night to prevent teeth grinding, as well as medications such as antidepressants and muscle relaxants. In time, these treatments should provide relief from the burden of bruxism.